Here at The Hemingway List Podcast, we are reading our way through a list of 16 books that Ernest Hemingway recommended. We have now finished reading and discussing the second book off the list. You can find the entire book + chapter-by-chapter discussion in the below podcast. An erratic man stirs up trouble over a card game in a Nebraska hotel. The below series of podcasts contains a full audiobook reading of The Blue Hotel, and an in-depth discussion about each chapter. 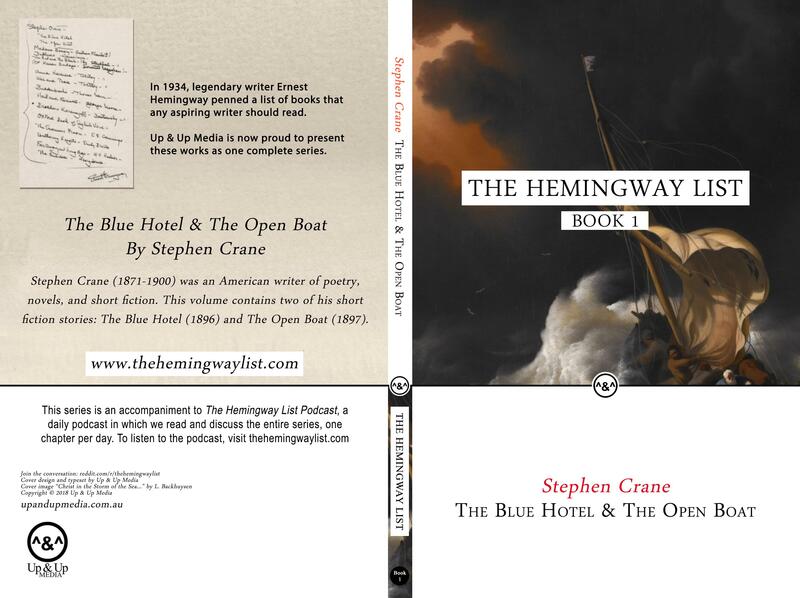 Buy the official "The Hemingway List" paperback of The Blue Hotel HERE.